You could say that Honda has been in a "design rot" for a while. But they they are at their worst in the Chinese market. 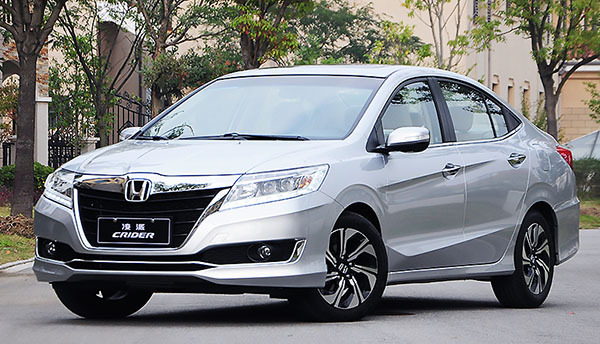 Exemple: This Honda Crider sedan. 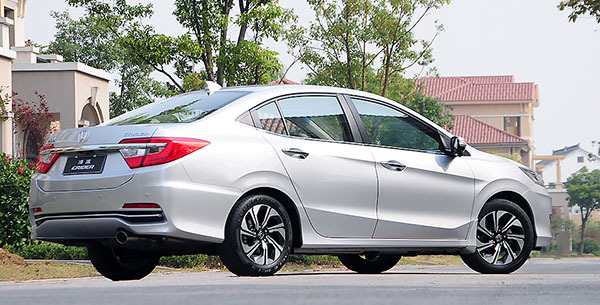 This is pretty much the worst looking Honda Sedan ever. The side lines, the grille, the tiny wheels. This poor thing gets everything wrong. Who draws these things? And who approves them??? Like the title says, this is presented in glorious "BurlappVision" for maximum viewing pleasure. Looks lik ean interesting detail of the grille. Sure, that would be great. Having a 200 miles and a 300 miles version? We'll see the whole thing in about 2 months. BMW will be offering an EV version of the new 3 series next year. 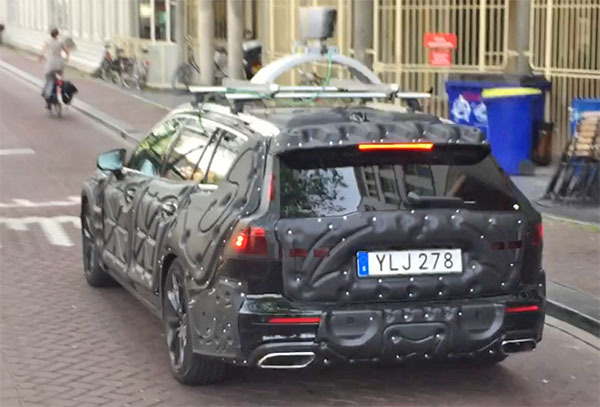 Apparently, the car will be shown at the Frankfurt Auto Show in September. 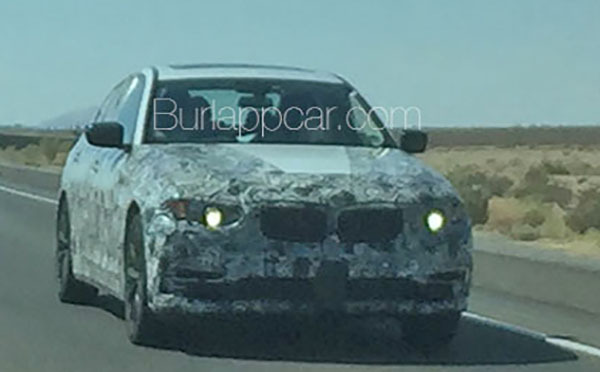 Probably with the rest of the new 3 series models? 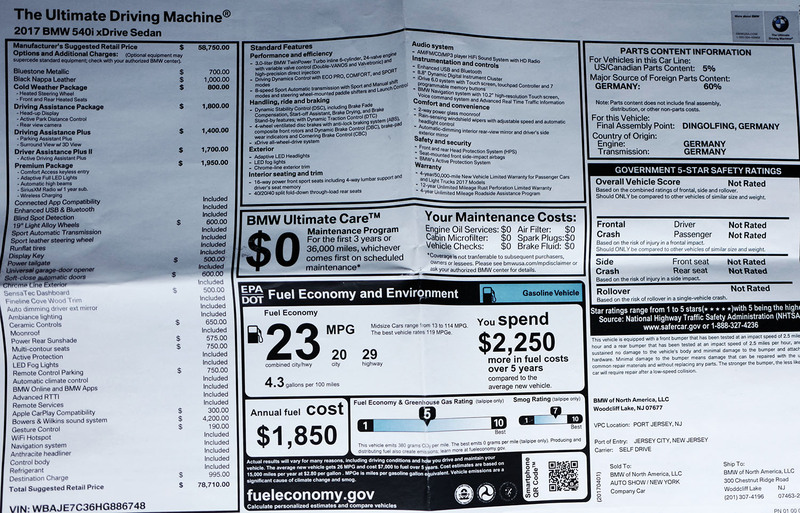 This is BMW's way to attack Tesla directly. The Model 3 has been referred to as being priced similarly to the BMW 3 series. 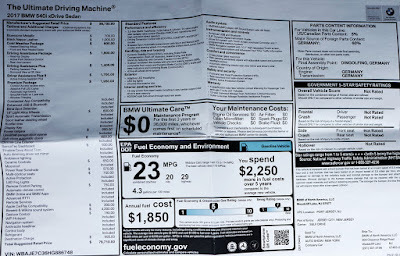 The 3 series EV is supposed to get a 250 miles range. Again, similar (actually a bit more) to the Tesla. This is quite a move for a big manufacturer to over an electric version of one of their best selling models. I am sure this is the first of many. 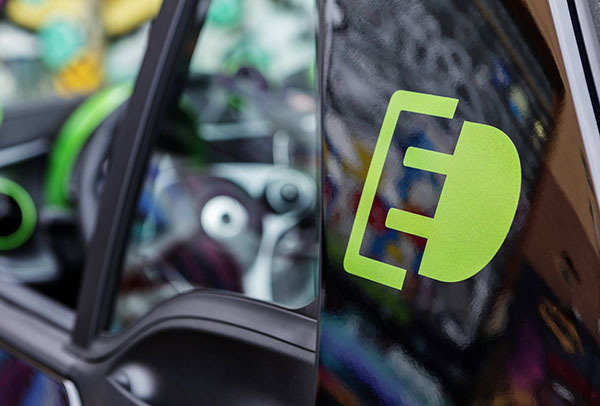 As Porsche has also announced that by 2023, over 50% of their sales will be from electric cars. 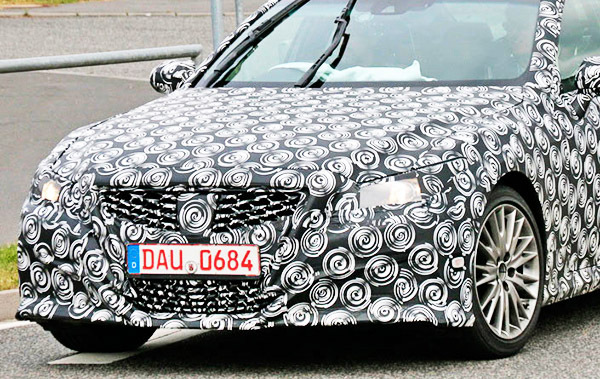 Everyone seems to think this is the next Lexus GS. Firs, the GS is supposed to be cancelled after the current generation. 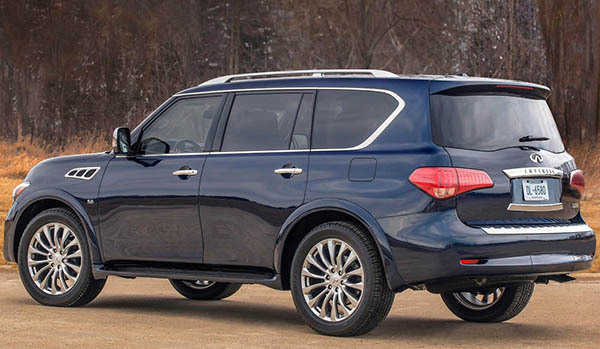 Second, it just doesn't look like a Lexus, at all. 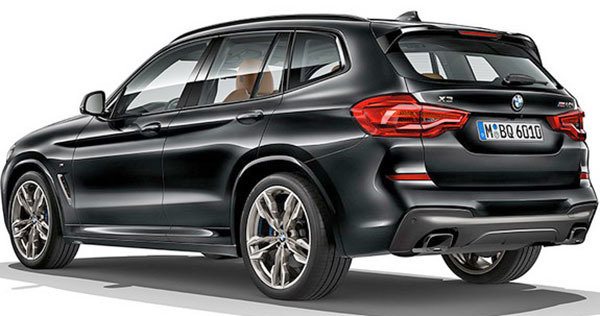 Unless some new RWD model ends up replacing both the ES and GS? I think this is something else. This is pretty much the big news for Dodge in 2018. 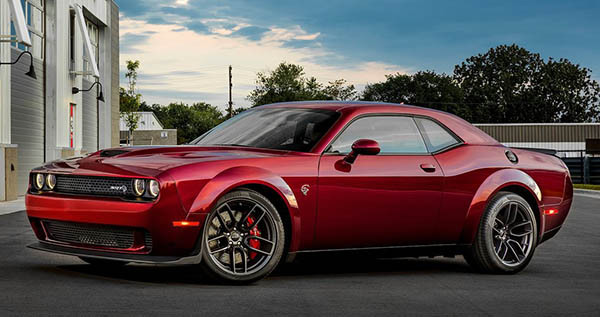 A "wide body" version of the Hellcat Challenger. That and new trims for the Charger. And the availability of the SRT look on the Durango R/T. This is it for Dodge. Shuffling trims and colors around. The Durango came out in 2010. The Challenger came out in 2008! It is quite amazing, and sad, to see that nothing has been done to this brand since Fiat acquired it. Except the Dart, which Sergio Marchionne killed very quickly. They keep teasing us with weird leaks from "dealers meetings" about a new "Cuda", or "Barracuda" model coming up soon. Coupe and convertible none the less. I think this might just be BS to keep the dealers in line. 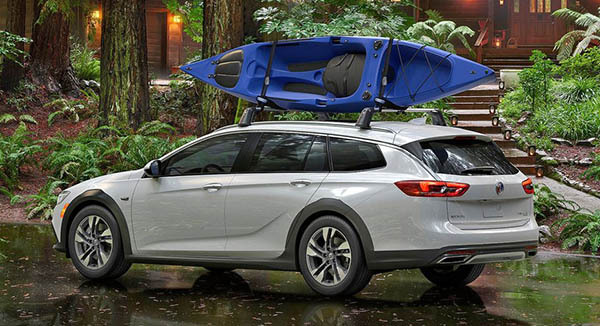 The base model for the all new Buick Regal TourX AWD wagon will start at around $30 000. Just about $3000 more than a base 2018 Subaru Outback. The Buick comes standard with a 2.0 Liter Turbo with 250HP and 8 speed auto. 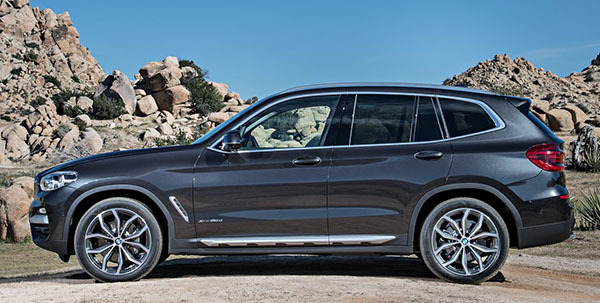 Much more than the Outback's 175HP. It is also about $16 000 less than the Audi Allroad! Which is a raised up A4 wagon. And about $13 000 less than the Volvo V60 Cross Country. So pricing it over $15 000 less than the Audi is great. Being an Opel Insignia and imported, you basically get a German made/engineered/designed car. 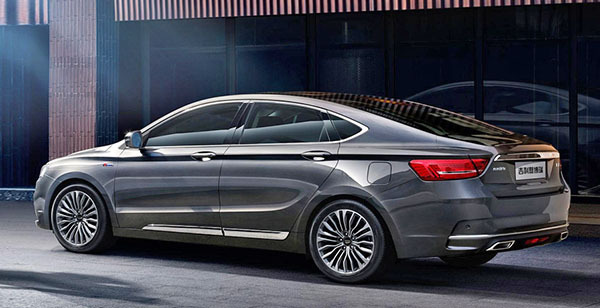 Other Buick Tour X modes are the "Preferred 1sb" package at $33 575. And the top of the line "Essence" for $35 945. All still much less than the base Audi or Volvo. 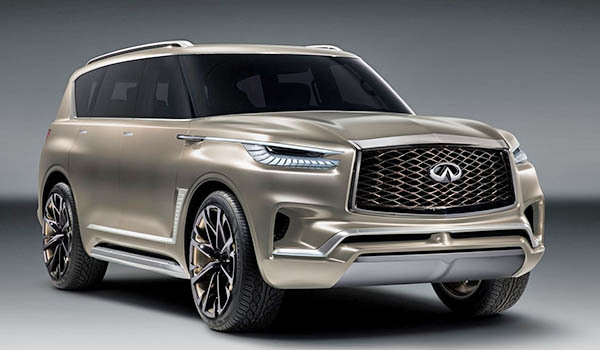 Infiniti has already announced it would be based on the current model's platform. That's code word for "not all new". Or "just a few new bits". And it looks like what it is. The body seems to the same as the current model. 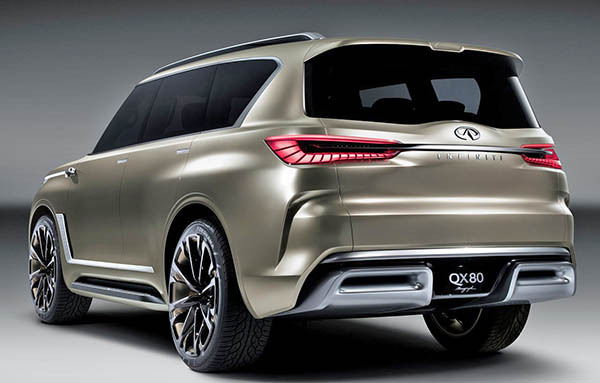 The front and rear ends look like the concept. Otherwise, it is the exact same truck it's been for years. I guess they figure it's enough to compete with the all new Navigator? 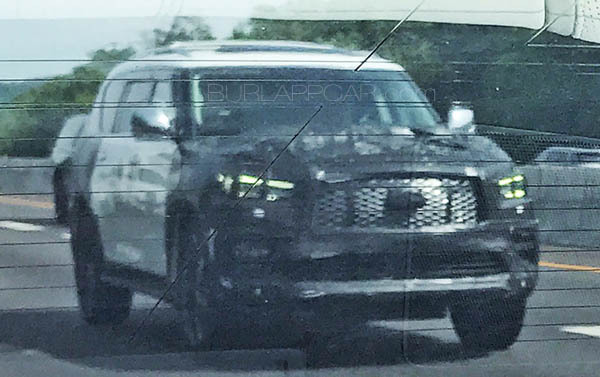 And a new Escalade that is less than 2 years away. Here is the concept. Which did have an all new body. And here is the current model. I am being told this could very well be the next Frontier for the US. One thing is sure though, the Frontier is past due for a redesign. A new generation came out in 2014. But not in the US. 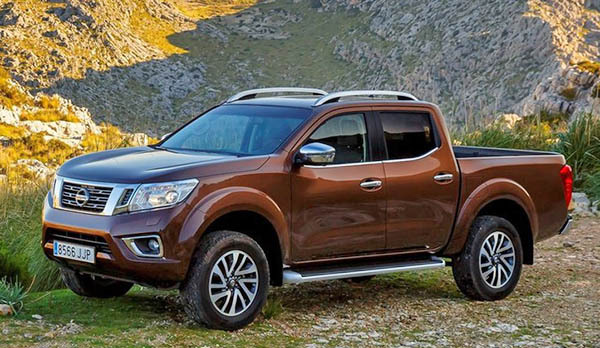 Called the Navara in Europe and other countries, it is also the base for a Renault pick up truck. Here is the current European Navara. Yet, I am sure this will be everywhere in Europe very soon. 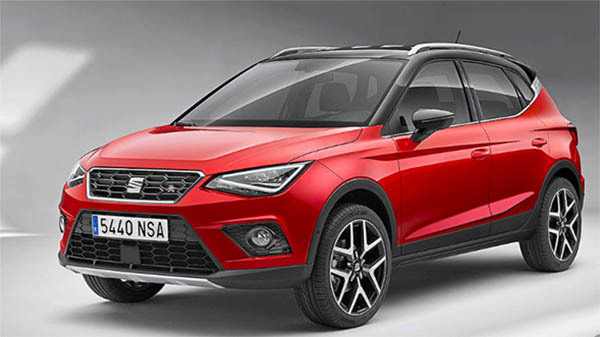 A tiny VW Polo based SUV from their cheaper sister brand Seat. That's at least the 3rd one in that category in just a few days! 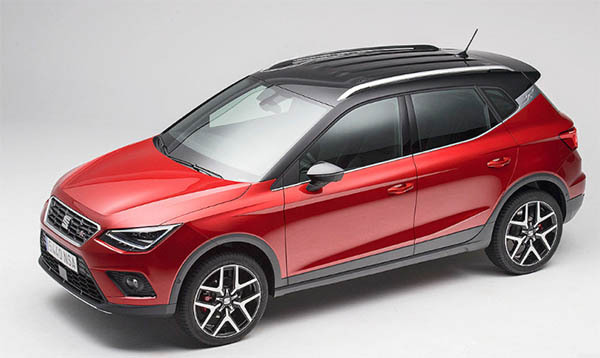 After the Hyundai Kona and Kia Stonic. And more to come! 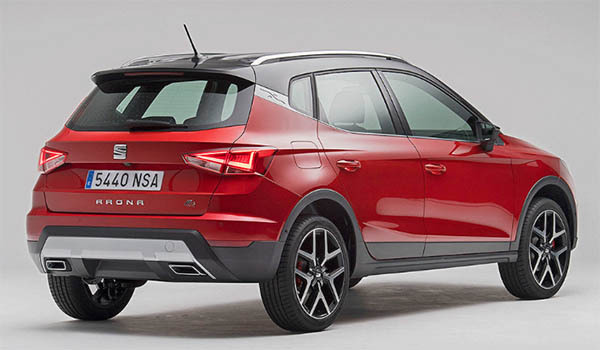 Since VW and Skoda will probably get their own versions soon. Engines include a 1.0 Liter with 115HP, or a 1.5 Liter with 150HP. This is not all new. 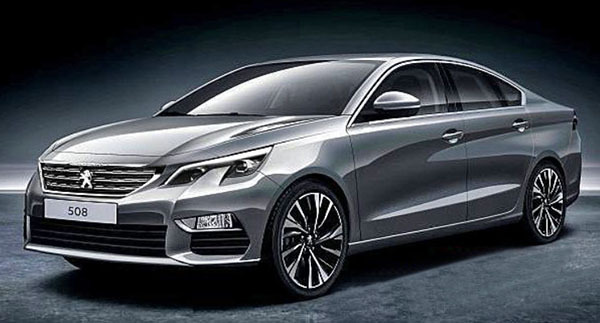 The GC9 won Chinese Car of the year for 2016 already. But from what I hear, it wasn't widely available. And this is a "slightly revised for 2017" version. 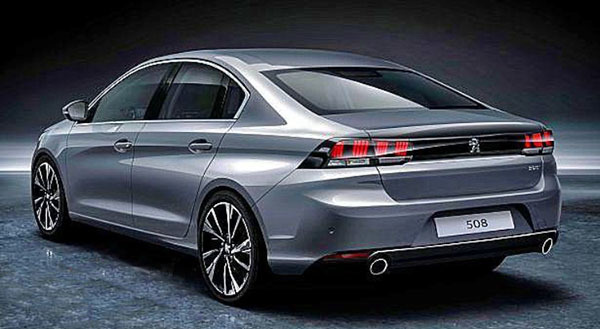 I think this is a really good looking sedan. Like a better looking Toyota Avalon. Again, this is strictly for BMW fans. I really don't think it will bring people into the "BMW family". 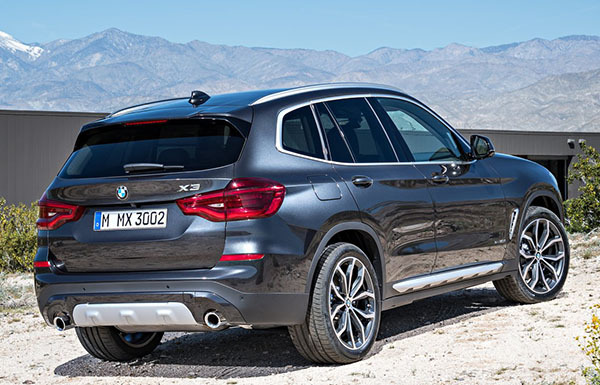 If you didn't want an X3 before, this isn't going to change your mind. This should be mostly repeat buyers. People who end up at the dealer after the lease is up, and see the new one on the lot. So repeat buyers might just be enough. 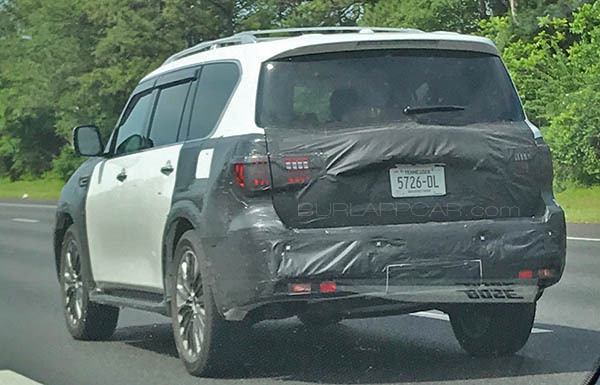 But I am being told it could be a "larger than 500X" all new SUV/Crossover for Fiat. Something that would compete better with the CR-V or Mazda CX-5. I guess it would be good for Fiat to get new products. Anything really. The 500 is so old now. Without a redesign in sight. 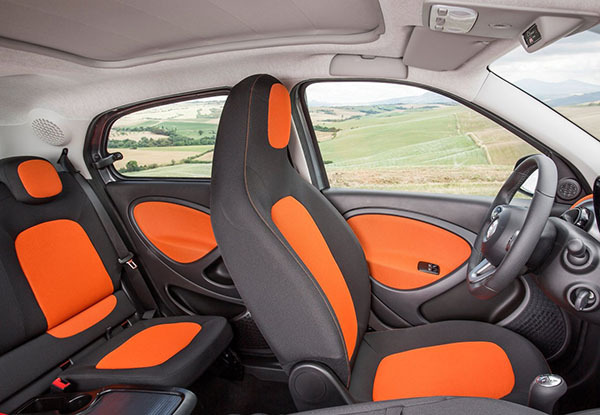 The 500L is pretty much a big flop, at least in the US. Maybe something larger will help? I think some love and care for the brand would help. 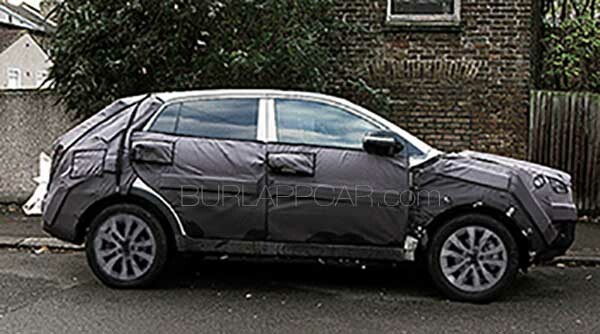 This is a prototype mule of the next generation Escape. Due out for the 2019 Model year. Right after the next generation Focus. Both models, as well as a brand new Ford EV, will share the same platform. 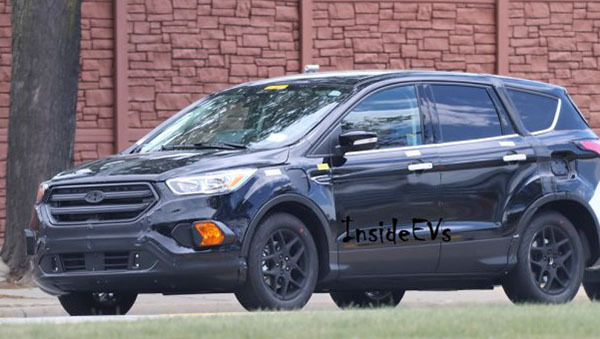 What you see here, is the Plug-in Hybrid version of the next generation Escape. 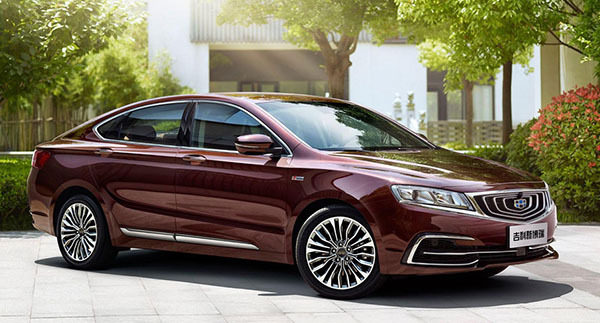 The next generation Plug-in models from Ford are expected to have a much better range than the "20 something" currently seen in the Fusion. 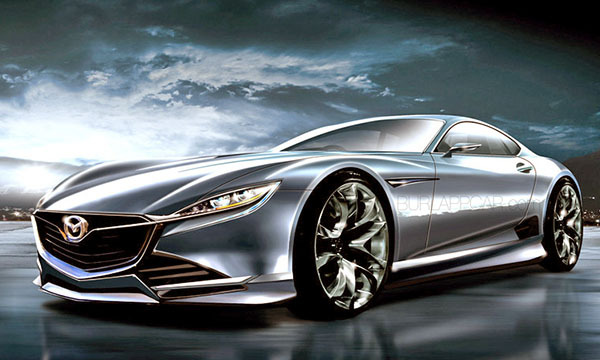 New rumors about the next Mazda RX. The RX9. Mazda did say a while ago there was no such car in the near future. But there are now new rumors. About a concept version being shown in Japan before the end of the year. And possible both a coupe and convertible production models scheduled for 2019.
with up to almost 450HP. The bad news is: they are talking about a $70 000 car. I just hope this is all wrong. This kind of price would be a terrible mistake. Mazda has been doing great so far, but a $70 000 RX9 would be a joke. If they want to go back into the sporty coupe, it should be under $40 000. I hear the next Nissan Z will hold the base price to what it is now (about $32 000) or even under. 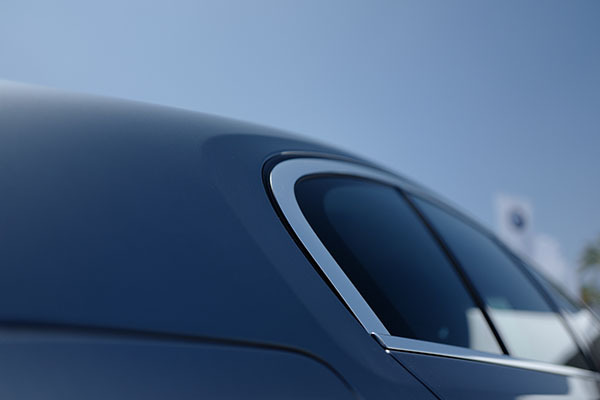 The next V60 looks a lot like a smaller V90. Which is great! That great design is a smaller, less expensive package can only be good news. 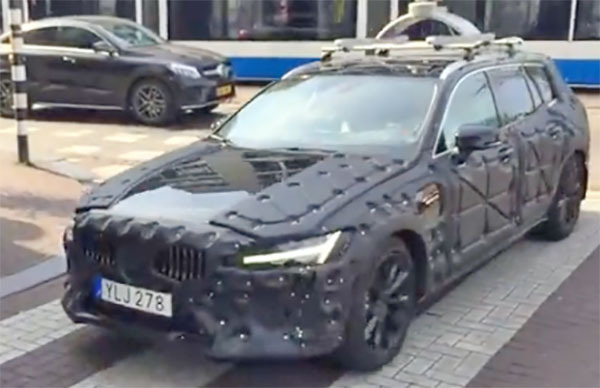 It looks like the particular prototype was caught testing that stupid self driving tech everyone is trying so hard to rush to the market. At least, this crap won't be standard for years, and we won't have to use it if we don't want to. So far, this is looking good! 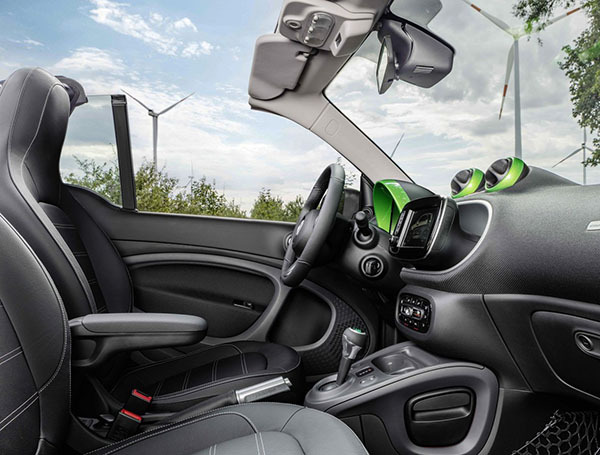 Smart has announced a while ago that now, starting with the 2018 model year, they will be a 100% EV brand in the US. I actually think thy should have done this a long time ago. 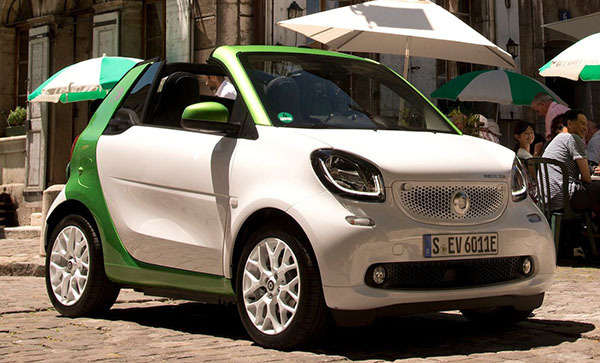 Somehow, the Smart has always looked like an electric car. But I've always kind of liked it. I have never driven one. I'he heard the earlier ones were pretty tough drives. But I also hear the new ones are much nicer. Sure, they are not cheap. But you can't really beat that amount of style. And, of course, these main problem is that everyone who wanted one has bought one already. And the shortcomings of such a tiny car on our wide US roads probably prevent a lot of repeat customers.. Still, I think the all EV witch is a great idea. It also makes it the only electric convertible you can buy in the US. it will go on sale in the US in December. It is expected to start at around $23 000 before tax credits. Which would make it about $13 000 where I live. 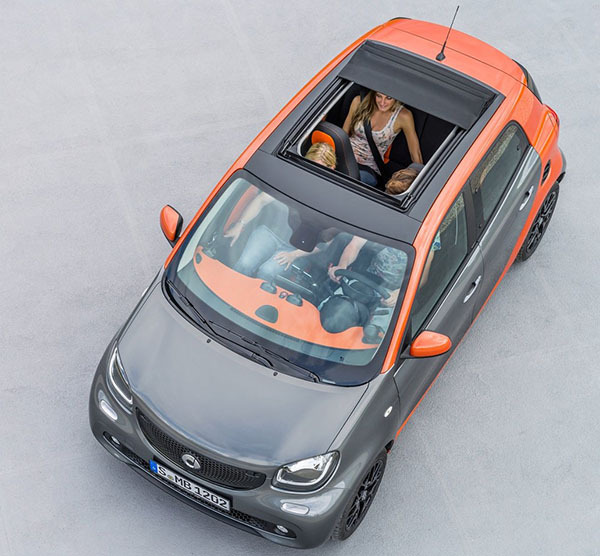 Now if Smart could really get they act together, they would find a way to import the 4 door ForFour version over here as well. 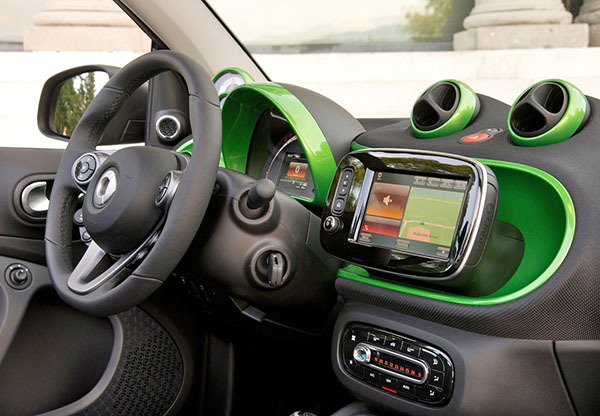 Which basically is a Renault Twingo with a Smart design. A 4 door would have a much wider appeal in the US. And they is already an EV version as well! 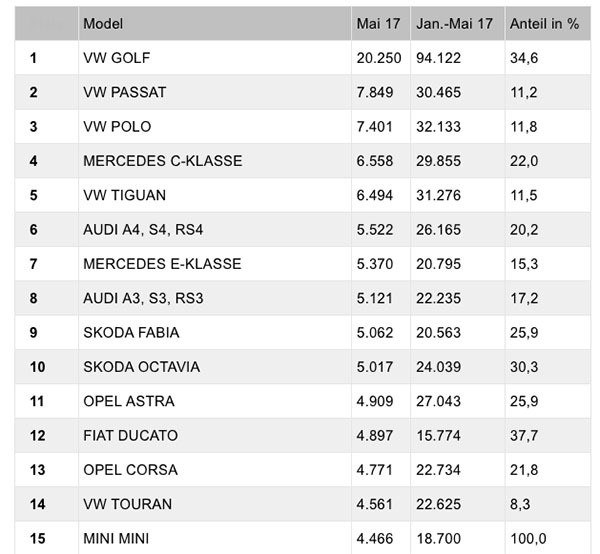 I thought it could be interesting to see what are the most popular cars in Germany. Since, here, we mostly get their luxury models. Except for VW. Surprised to see the Passat in second place. It's a rather large car for Europe. Had no idea it was that popular. Also the C-Class. I thought the smaller cheaper A-Class would be more popular. I think these are just illustrations. All I would say is: let's hope this is not the real thing! It has a weird 90's vibe to it. It just looks old an uninspired. But also does match most of what we see in the actual prototypes. Peugeot does need something. It really lacks the feel they had in "the old days" when Pininfarina was designing most of them. This is just a super boring design with weird aggressive details. 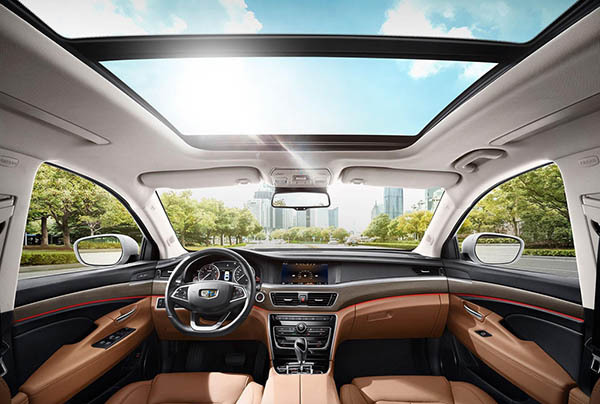 Their new designs, like the 3008 SUV, suffer the same problems. Maybe t's time for a new "design direction" at Peugeot. Or get back some Italian designers. Hard to tell what under all that camouflage. 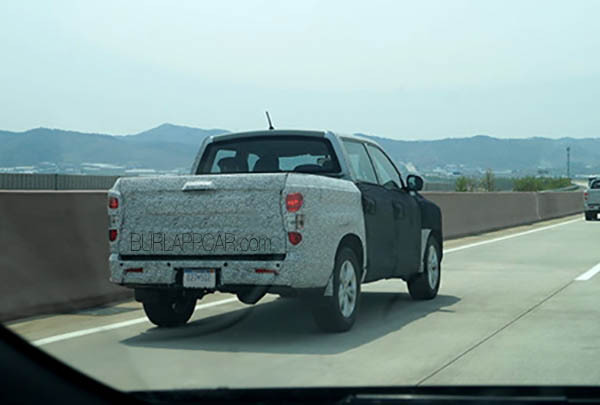 But so far, the general shape and silhouette is very similar to the current car. 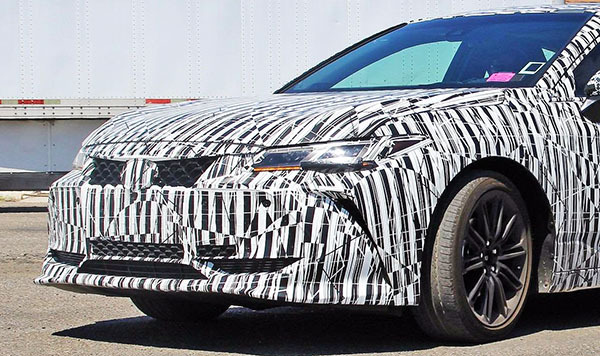 Even though this will be all new, based on the 2018 Camry platform. I was really thinking Toyota might actually drop the Avalon. But, they did sell over 48000 of them last year! And the Hybrid version is really unique in the segment. 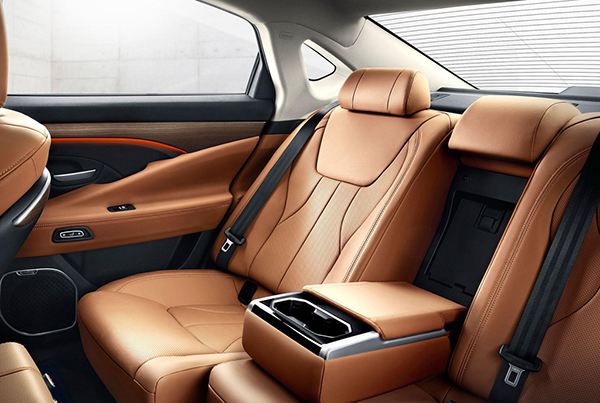 Based on the all new Camry Hybrid, this should even get better. 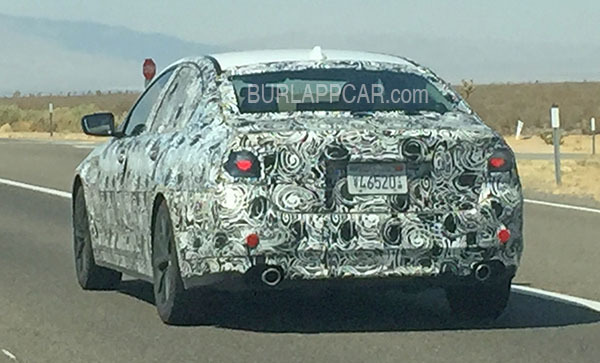 All the pictures of the new Avalon prototypes can be seen HERE. Yes, this is the all new model for 2018. Hard to tell, I know. I think basically, only current owners will be able to know. This is, again, the same thing over and over again. 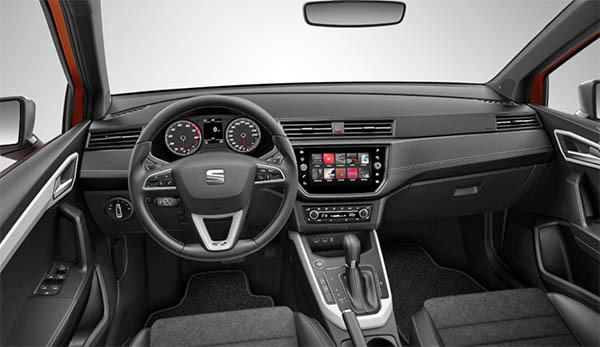 And now the interior feels more like a Chinese copy of a BMW than the real thing. And look at that ghastly front end. It looks like the work of 12 designers who never talked to each other. 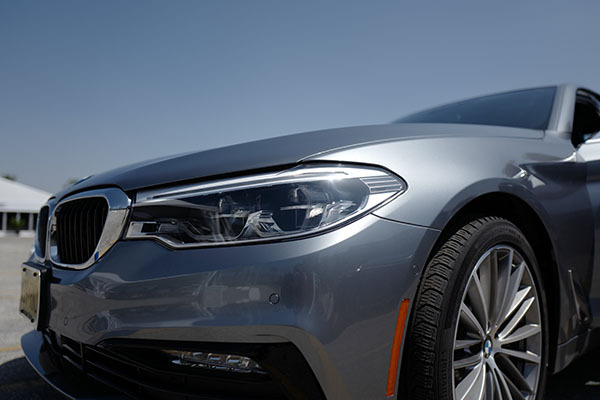 After the 3 and 4 series, I got the chance to try out the all new 5 series. A larger and even more expensive model. The only interesting line in the design is this one. That wraps around the rear side window. 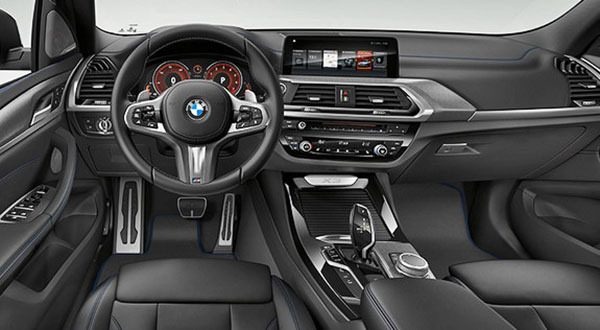 The interior is quite nicer than the 3/4 series. It is really a step up in quality and looks. 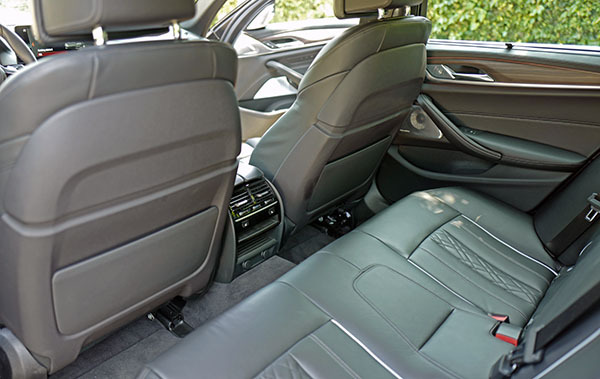 For such an expensive car, rear leg room is just OK. Nothing great. I would say less than a Jetta. And much less than a Passat. Something I also notice was the sound of the doors when you close them. I expected that super solid German car feel and sound. Nothing like it. Again, the Passat feels much more solid. 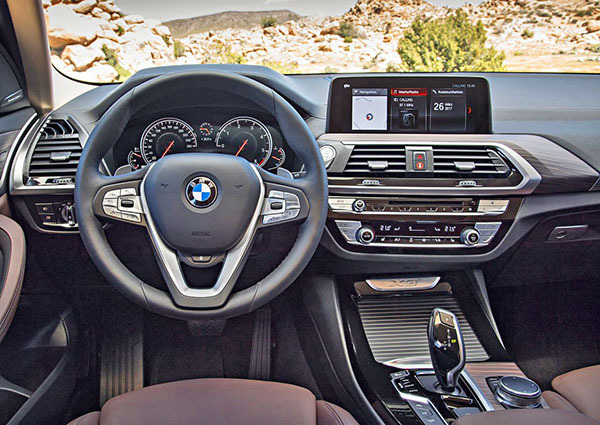 The drive is pretty much the same as the 3 series, but in a larger package. 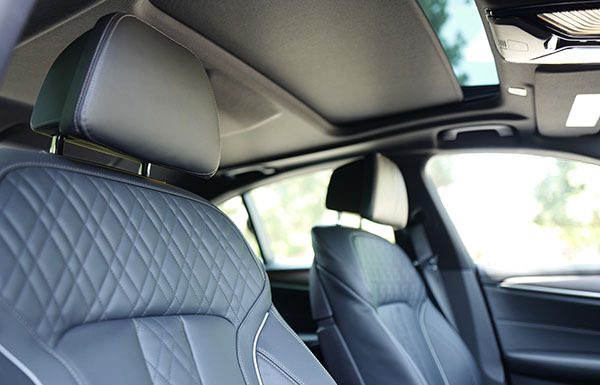 So it feels even less sporty and more luxurious. A super smooth ride, plenty of power. The lag from the 6 cylinder is still there (Now really not acceptable for $68 000). The steering still feels a bit too light. Again, precise but more like a luxury car than an "ultimate driving machine". Driving the 3 and 4 series, I really thought these cars were overpriced. 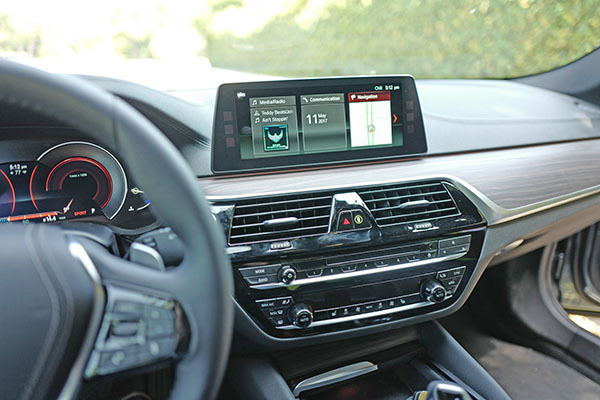 That is also the case with the new 5 series. Even more so. It does drive very nice, but I can't imagine anything else at that price not driving nice. 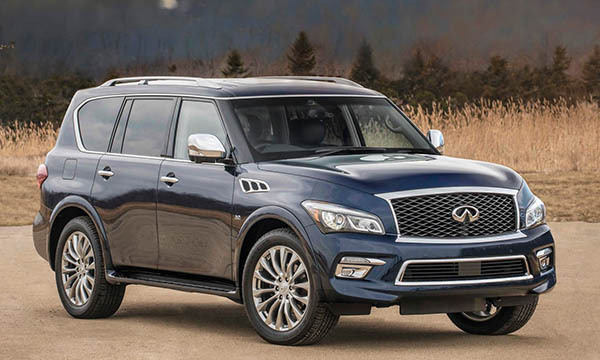 I test drove a few Infiniti models in the past, and these were also very nice drives. For less money. Now they also have Genesis to compete with . I have to say, I had a well equipped Passat a while back for a week. 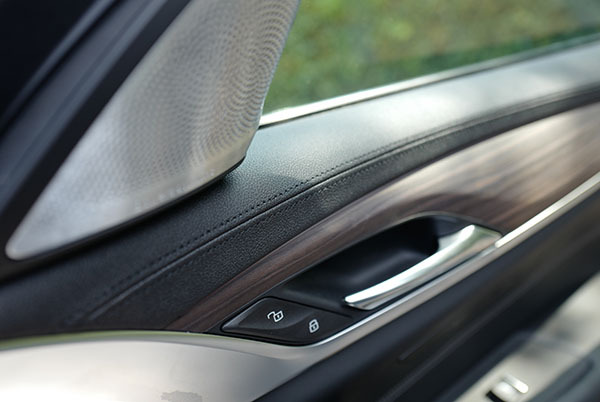 And even though it can be criticized for its boring design inside and out, it is a very nice drive. And much roomier than the 5 series. 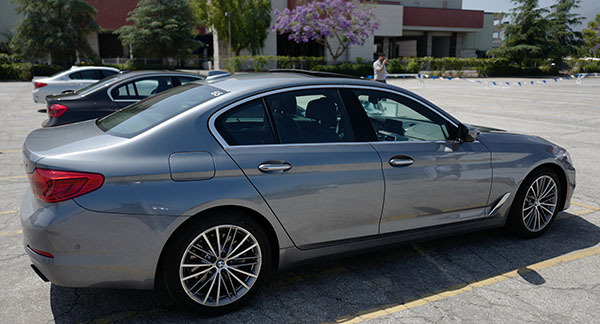 I would even say that the vast majority of people would think it is about as nice as this 5 series. And if feels more solid on top of it. For less than half the price! 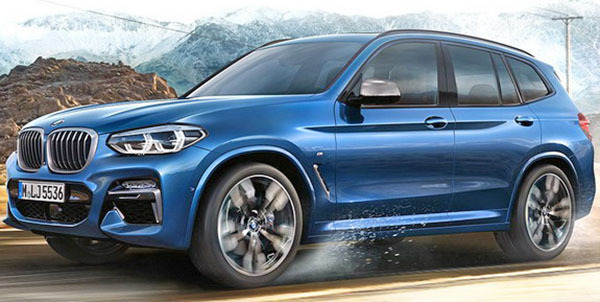 None of this will matter to most BMW buyers. Since most of them won't even consider anything else. But if you are a bit more open minded, drive a few cars before you spend around $80 000 for this one. 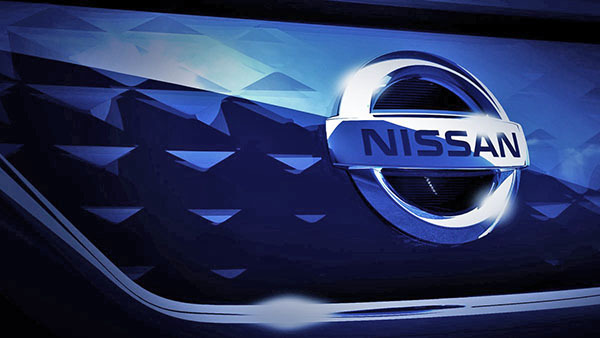 They won't have a BMW logo and you might even have to explain what they are. 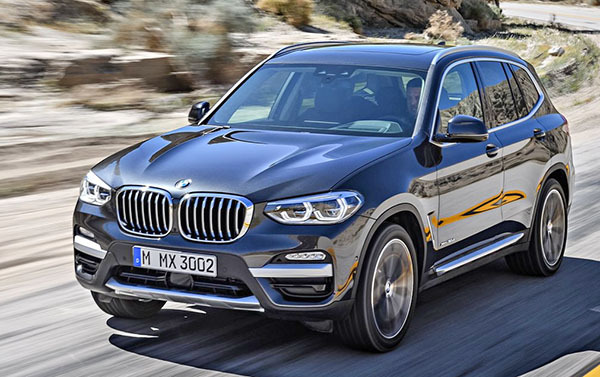 Of course, if impressing friends and neighbors is the main consideration, I would say the BMW wins over Infiniti, Lexus, Genesis and others.